To pass your road test you must apply the parking brake when parking. Watch the video to learn why. Hi there smart drivers. Rick with Smart Drive Test talking to you today about the parking brake and why you need to use the parking brake. Mostly so your vehicle doesn't roll away and when you come back to it you can actually find it is the reason you use the parking brake. Now just before we started here be sure to hit that subscribe button... just about there. That way you'll get access to all of the great information as I get it available to you, especially for those of you working towards a license or starting your career as a truck or bus driver. Now you can see here in the image, my good cousin Dave Currie is helping to pull the tractor-trailer unit out of the ditch. All evidence points to the fact that the driver didn't apply the parking brakes when he or she got out of the unit and the truck kind of rolled slowly across the parking lot and into the ditch. Fortunately nobody was hurt and the damage to the unit was minimal. It was essentially just a matter of pulling it out of the ditch and the driver carrying on with his or her life with a little bit of damaged pride. Because one of the transitions for commercial drivers moving from a passenger vehicle, is that every time you get out of the vehicle you have to put the parking brakes on. And in a big truck or a bus, it's pulling out on the parking brake button--the yellow four-sided button you can see here in the image. On some transit buses it is reversed. But for most air brake equipped vehicles you simply pull out the button and exhaust the air out of the system and apply the parking brakes on the unit. 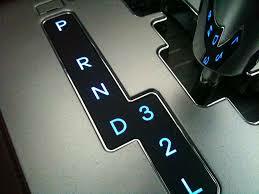 Now most of us who drive automatic transmission vehicles in North America do not apply the parking brake. Only about 10 percent of us who actually drive an automatic vehicle apply the parking brake. The reason for that is because the automatic transmission has a park gear on it...not a gear, but it has a parking selection on it. And there's a pin that goes into the cog in the gears in the transmission and holds it in place. Now you often see, if you watch people who park their vehicle, they put it into park, they release the brake pedal and the vehicle rolls back a bit. That's because of the tolerances in the drivetrain. The vehicle kind of moves a little bit. Now it is a good habit, even though you're driving an automatic transmission to apply the parking brake before you take your foot off the brake pedal. Because as I said, all of that weight of the vehicle is on that little pin inside the transmission. And it is really hard on that and eventually it'll wear out break off. And when you apply the parking brake, either by the hand lever in the middle of the vehicle in the console or the foot pedal that you push down - as both of those are a ratchet mechanism that lock the brakes on on the rear of the vehicle. And that's what you want to do because you want the brakes on so the vehicle is where you left it when you come back to find it. Not like this video here shot by the Bangor Police Department of the car rolling down the hill and backing into the tree. Again another fortunate incident where no one was injured or hurt or killed - so that is a possibility. So if you're driving a manual transmission - we already know that most people who drive manual transmissions apply the parking brake. A very high percentage--85 to 90 percent of people-- apply the parking brake in a manual transmission. I did have an acquaintance some years ago who was driving a manual transmission and didn't apply the parking brake and came out of the house and the car was sitting out in the middle of the road in front of her parent's place because it was a bit of an incline on the driveway there and she didn't apply the parking brake. She thought that it would just stay put when the transmission was left in gear. And yes, in a manual transmission you want to leave it in gear, but also apply the parking brake. Because sometimes these manual transmissions, especially on older vehicles, will pop out of gear. The gear selector will pop out of gear. So always apply the parking brake. That way--as I said--you're going to be able to find your vehicle when you come back to it. And as well, there's not going to be any property damage or anybody injured or killed because your vehicle rolled away and careened down a hill...and you know, crashed into a tree and died in the firey inferno sort of thing. So apply the parking brake, get into the habit of applying the parking brake. 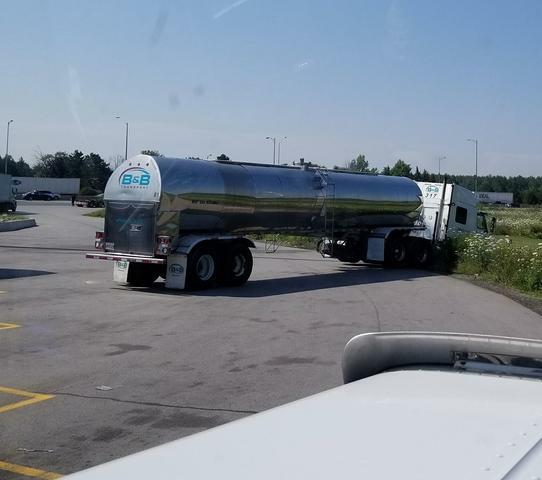 And for those of you going for a CDL license, make sure that you apply the parking brake every time you get out of that vehicle. Because that vehicle will not stay there. There's just simply too much weight in the vehicle without the parking brakes applied. WHEN WORKING ON OR AROUND THE VEHICLE INSERT WHEEL CHOCKS! Have you ever come out to find your vehicle and it's not there because you failed or forgot to apply the parking brake? Leave a comment down in the comment section there. All of that helps out the new drivers working towards getting their license and starting a career as a driver. If you like what you see here share, subscribe, leave a comment down in the comment section. As well, hit that thumbs up button. Check out all the videos here on the channel; as well, head over to the Smart Drive Test website. Awesome information over there and tremendous online courses you can purchase. All of the online courses are guaranteed, pass your road test first-time 30 day money-back guarantee. 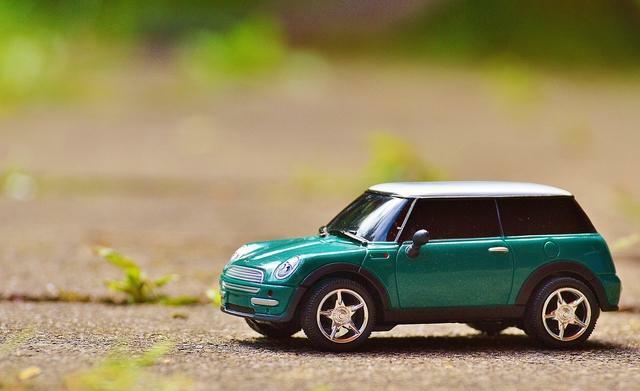 And as well, those of you going for a driver's license, head over to the website--I'll leave a link down in the description there--and get your free checklist of things that you need to think about on the day of going for your road test. For example, getting a good night's sleep, eating breakfast making sure that you do a pre-trip inspection on your vehicle before you head in, that you have the right amount of paperwork, and you have glasses if you're wearing prescription glasses, and those types of things. All of that is on the checklist. 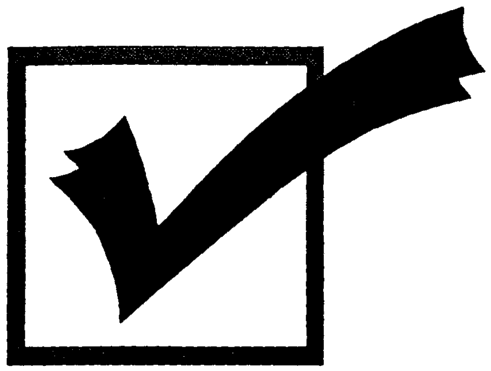 So click the link below, head over to the website and get your free checklist. I'm Rick with Smart Drive Test. Thanks very much for watching. Good luck on your road test. And remember, pick the best answer not necessarily the right answer. Have a great day. Bye now.